Remodeling your existing home can be exciting but a stressful undertaking. KDG can help you manage the decisions that have to be made. KDG will work with you to select materials such as flooring, countertops, cabinets, millwork, paint, lighting, as well as the design and furnishings if needed. We have reliable resources for products and can help monitor timelines when ordering. 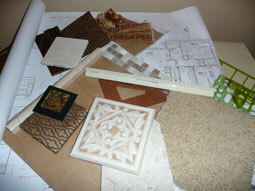 We use our design expertise to help your new renovation “marry” or merge with your existing space.